Dorothy (Harris) Lapnow, 84 wife of the late Frederick H. Lapnow passed away April 1, 2019. She was born June 16, 1934 on Staten Island N.Y. to the late Marion and Morgan E. Harris. She is predeceased by two brothers Edward M. and Robert T. Harris. She lived in Westport, CT. for 45 years and Southbury, CT at the time of her passing. She also maintained a residence in Highland Beach, FL. She was married to Frederick H. Lapnow who was the National Sales Manager of the Fine Papers Division of WESTVACO, a paper corporation now WestRock, until his death in 1985. 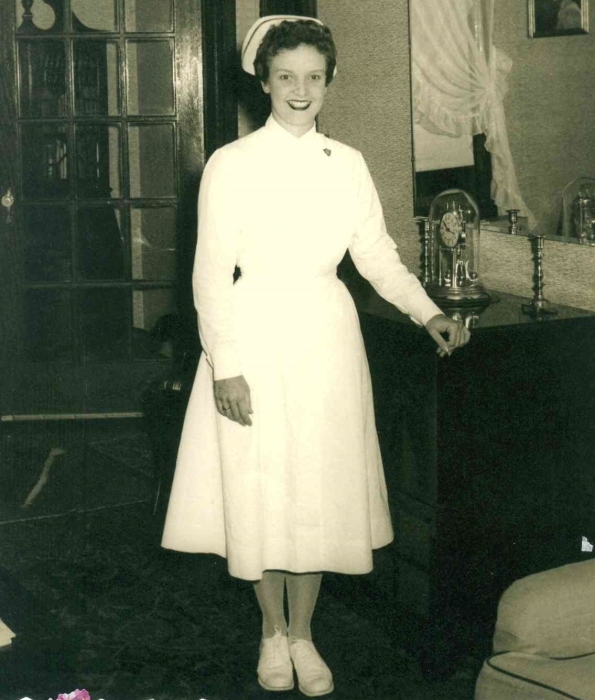 Dorothy graduated from Wagner College, Staten Island with a Bachelor Degree in Science and Nursing and received a Certificate in Nursing Management from Fairfield University. She was employed by the Westport/Weston Health District and was a school nurse at Assumption School in Westport for 10 years. She was also employed by the Westport Board of Education and was the supervisor of School Nurses until she retired in 1995. She traveled extensively in the United States, and abroad and traveled frequently with the Connecticut Audubon Society to do birding in several countries, including a safari to Tanzania, Africa. She enjoyed being with and loved doing things with her surviving children: Jeffrey R. (Rachel) Lapnow of Wilton, CT. Karen A. Volkers of Damariscotta, ME and Gary D. (Janine) Lapnow of Woodridge, IL. She is also survived by seven grandchildren: Cody A. and Taylor J. Lapnow, Katherine E. and Andrew R. Volkers, and Gabrielle C., Jessica M., and Christian J. Lapnow who is loved and adored. She was proud of all their accomplishments. There will be a funeral service held Monday April 8, 2019 at 11A.M. at St. Francis of Assisi Church located at 35 Northfield Rd. Weston, CT. Contributions can be made to the Connecticut Audubon Society, 2325 Burr St Fairfield, CT 06824. and the North Shore Animal League of America, 25 Davis Ave Port Washington, NY 11050.